Ever wanted a picture with all the stars of One Direction? Or are you a sports fan and want one with Usain Bolt? Perhaps the kids would like to snap a memory with the Avengers? At London, Madame Tussaud’s, there are celebrities here that will be sure to tickle anyone’s fancies! With these skip-the-line tickets, you get to bypass pesky lines and pose with George Clooney, Brad Pitt, Johnny Depp, Angelina Jolie, the Beatles, Leonardo DiCaprio and many more! You will also get to enjoy the thrill of walking through the ‘chamber of horror’ that houses gory visualizations of those executed during the French Revolution. If you think just plain wax models won’t do the trick, then enjoy the immersive, 4D experiences that feature the Marvel Super Heroes as they battle it out to save London! You will also get the chance to experience the Spirit of London black cab ride. This experience is filled with fun activities, lots of experience and many, many photographs. The London Eye is Europe’s tallest Ferris wheel and offers the highest public viewing point in London, after The Shard. Located opposite The Big Ben and the houses of Parliament, the Eye offers breathtaking views of the London and its famous landmarks. Each rotation of the eye takes 30 minutes, giving you plenty of time to view iconic London monuments and attractions like Buckingham Palace, Big Ben, and St. Paul’s Cathedral! 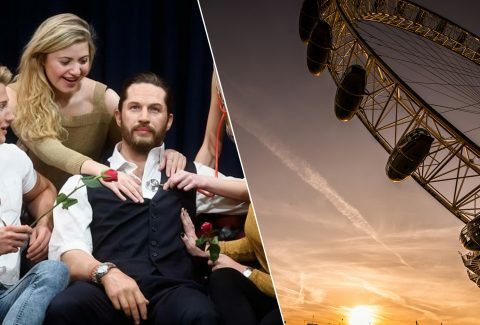 Although you can visit these attractions whenever you please on the date you choose during the time of booking, we recommend visiting the London Eye first during the day to avoid crowds. Follow that up with a delightful visit to Madame Tussauds. Monday - Friday: 10:00 AM to 4:00 PM. Saturday and Sunday: 9:00 AM to 4:00 PM. Tube: The nearest tube station is Baker Street Station. You will receive an email confirmation with your Super Saver: London Eye + Madame Tussauds Tickets vouchers shortly. Please carry printed copies of your vouchers and display them at the attractions with valid photo ID.